Are you constantly suffering from chronic back pain? Does this pain stop you from doing the things that you loved? Don’t let your back pain stop you. Discover the healthier way to a pain free life from our Ipswich Chiropractor. Safe, Gentle & Effective Care for the whole family. At Bremer Ipswich Chiropractic & Massage Therapy we regularly see Mum throughout her pregnancy, newborns throughout their stages of development, children during school age, dad after that weekend footy game, and Nana or Papa after a weekend of babysitting the grand-kids. We love serving our community by leading families toward their optimal health. Aimed not only at relieving your pain but ensuring your injury, tension and tightness are healed as quickly as possible. 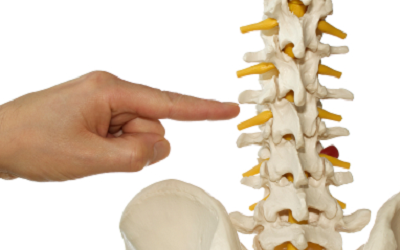 Our excellent Ipswich chiropractors are masters of diagnosis and technique; providing a full assessment prior to treatment and carrying out the best treatment for your ailment. Dry needling is a popular procedure whereby solid filament (acupuncture) needles are inserted into the skin and muscle directly at a myofascial triggerpoint. A myofascial triggerpoint (sometimes known as a knot) consists of multiple contraction knots, which are related to the production and maintenance of the pain cycle. Our luxurious Ipswich massage services will leave you feeling calm, comfortable and relaxed for hours afterwards. Choose between our rejuvenating a deep tissue massage, our Swedish relaxation massage, or, why not take a mini holiday to Hawaii by succumbing to the Lomilomi (or loving touch) massage.